We are involved beyond our doors and beyond our homes. We follow Jesus into the world, seeking to help those in need both nearby and literally on the other side of the world. What do you get when you combine an ancient faith, a 500 year old tradition, a 160+ year old congregation, and a desire to worship God in a way that is authentic to who we are and meaningful to people who have never been to church before in their lives? Come on Sunday to find out! Yes, we baptize people into the faith, wed couples in Christian marriage, and celebrate the promise of victory over death at funerals - and all of these are done not to fulfill tradition, but to experience the hope and blessings of God in our lives. Whatever you are facing in life, God is there to walk with you through it. In Christ we are offered eternal life, but just as importantly, we are offered help in this life through following him and connecting with his Church. We are located in the wonderful town of Castleton. While we are an active part of our local community, we are made up of people from throughout the Capital Region who are seeking to grow spiritually and make a difference in the world. There are things you can’t overcome. There are things you cannot earn. There are things you cannot accomplish. And that is okay! A church home is a place to come together and make friends, but it is also a place to grow and be nurtured spiritually. It’s a place to find out what God has to say to us and learn about how God wants us to live. Our church is part of the RCA, a Protestant denomination whose beginnings in the United States are traced to a worship service in 1628 over a flour mill in what is now New York City. 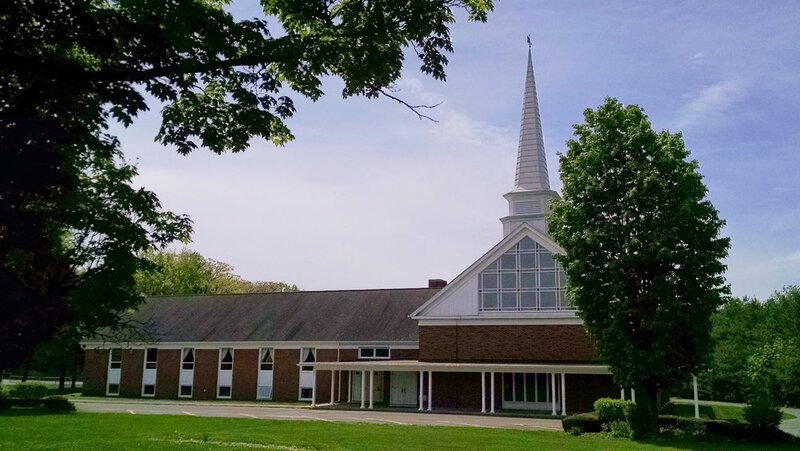 This congregation has been in Castleton since 1852, moving to our current location in the 1960's. Over the years our building has changed, our style has changed, the congregation has changed, and we see that God is continually calling us to new. As we remain committed to always reforming according to the Word of God, we honor and cherish our history, and tradition. Worship starts at 9:30 am Sunday!